Thank you for making the time in Trastevere straightforward and enjoyable. The apartment is fantastic and the view from the roof terrace is quite amazing. The airport pickup and collection of keys was seamless. For anyone concerned about being on a busy / noisy street - the apartment is completely tranquil day and night. 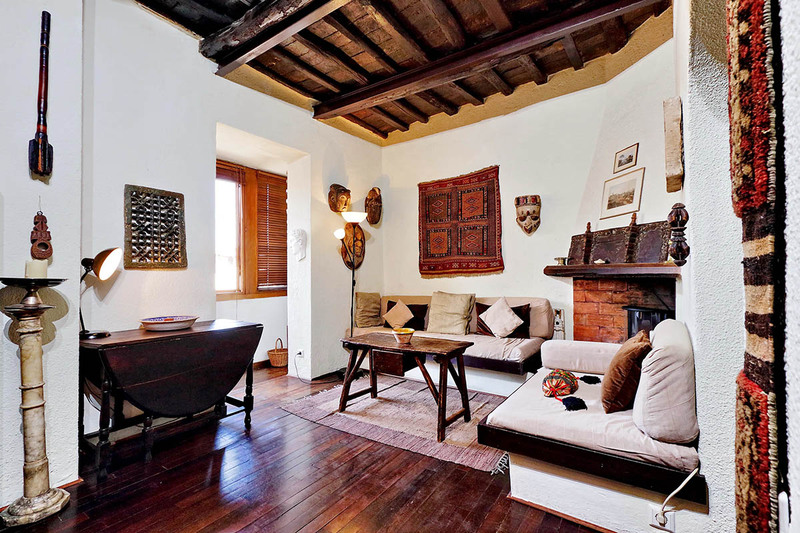 Dear Sibilla, We loved our stay in Trastevere. It was a fantastic retreat from the (charming) madness that is Trastevere. 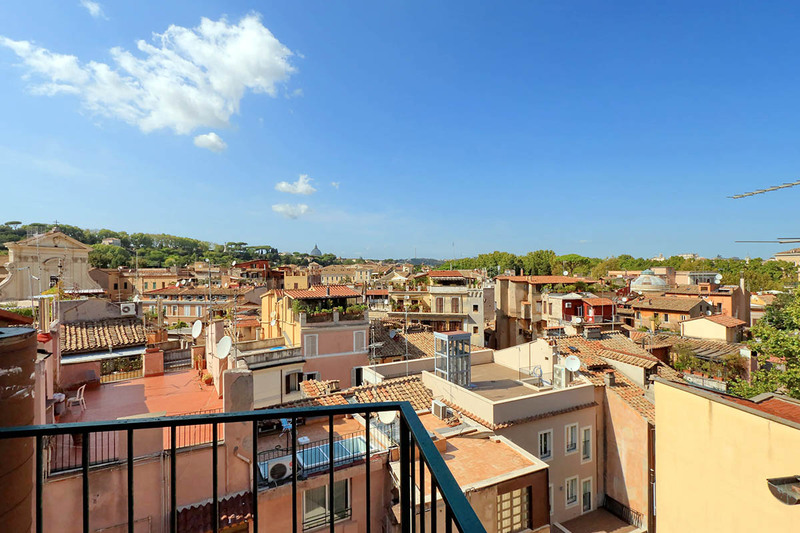 The apartment was comfortable, the terrace was fantastic, and everyone at Rome Loft couldn't have been nicer. We hope to do it again some time. Soon. Thanks again. 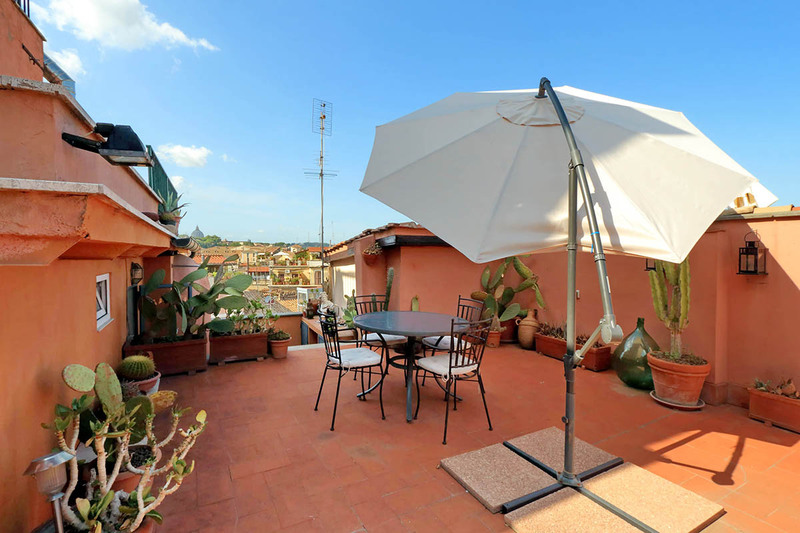 Moreover, a wonderful 40 square meter terrace will make your stay unforgettable, with its enchanting views of the city, beautiful plants, a large dining table, and two colored hammocks for you to relax in while enjoying the wonderful, sunny weather that Rome offers most of the year! Asian bohemian decor gives the entire apartment an exotic touch. The living room features an antique fireplace flanked by comfortable sofas. A small bookshelf fits nicely into the corner by the steps. 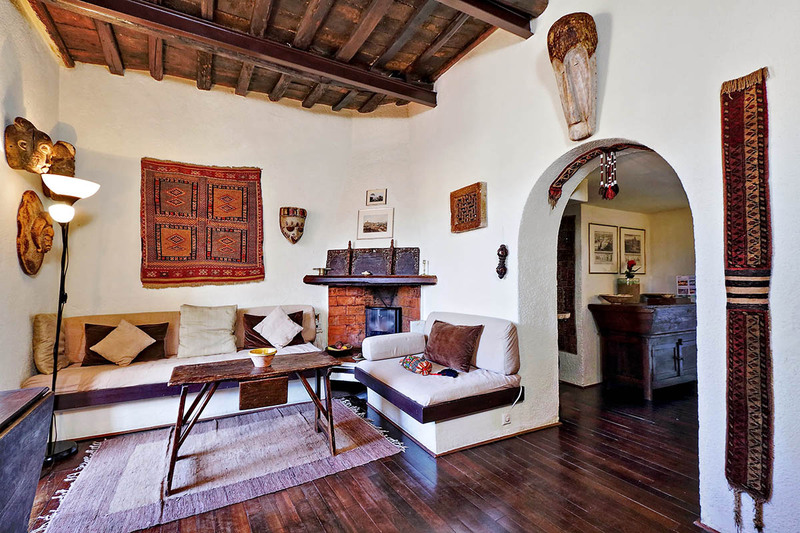 Furthermore, wooden floors and ceilings create a relaxing atmosphere. A small office corner also allows you to work should you need to. A comfortable sofa and a table complete the area. 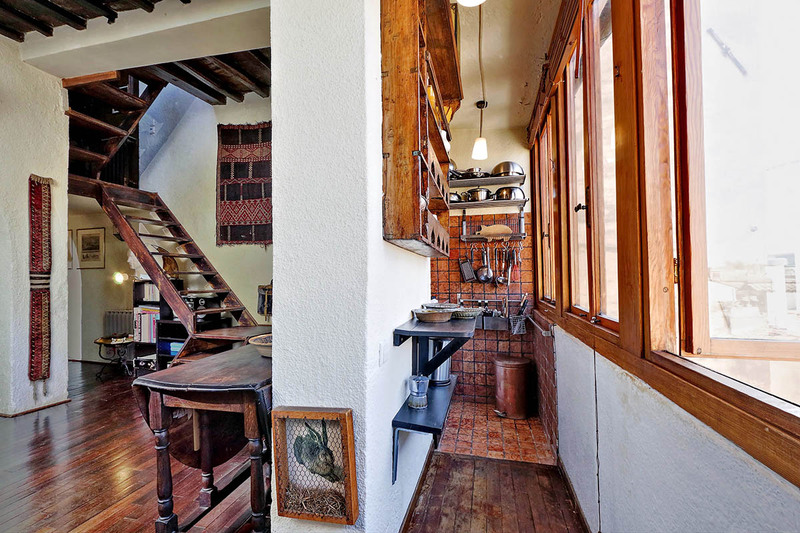 Moreover, around the corner, a well equipped kitchenette with a view, is ideal to prepare your daily breakfast. 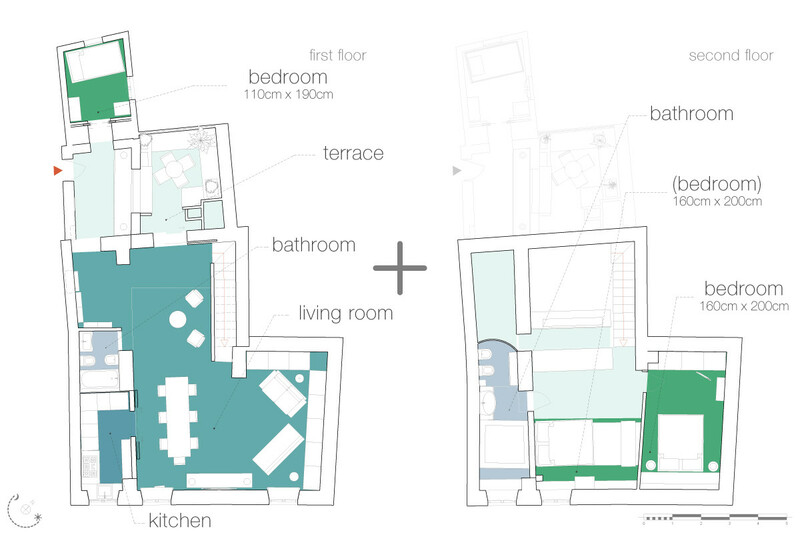 The mezzanine, with slightly lower ceilings (1.90 mt) is where the open master bedroom is. Its large closets and queen size bed will delight you with their comfort. This bedroom is equipped with the air conditioning. 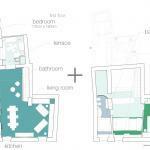 On the apartment’s upper level, you will also find a fully renovated bathroom with a shower. 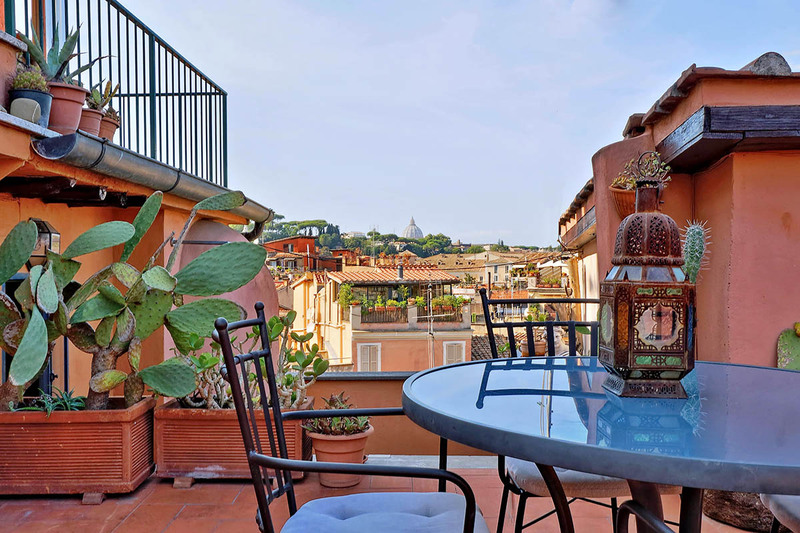 The diamond point of this nice penthouse is its wide terrace with an extraordinary view over Rome. 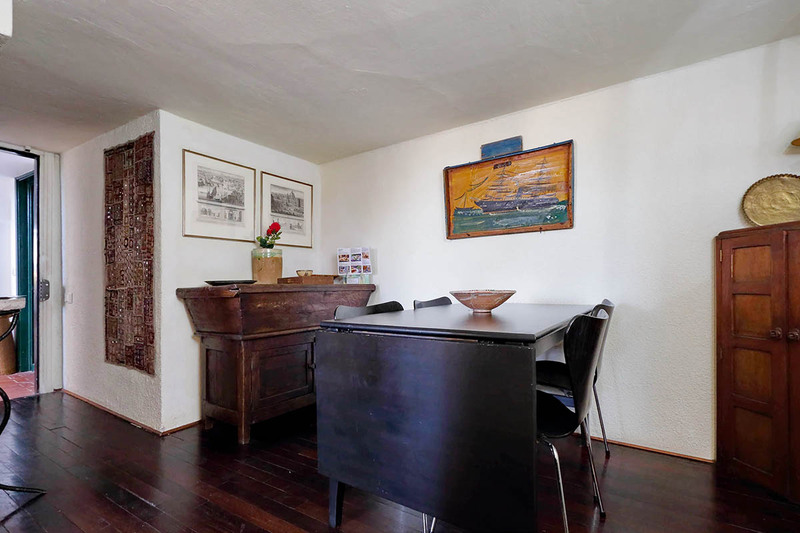 We recommend this charming and pleasant accommodation to those of you who want to enjoy the luxury of having an amazing terrace in the center of the city. Trastevere is an old and typically Roman neighborhood situated in the heart of Rome. 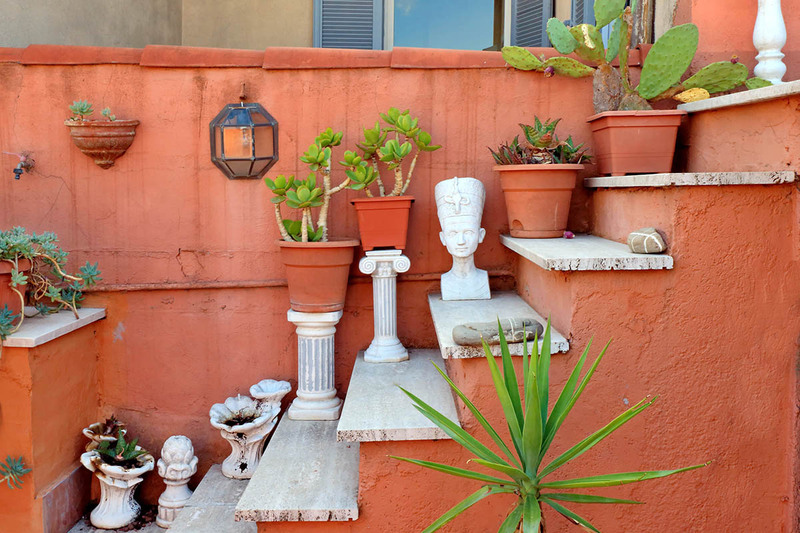 The most appealing trait of the area is its character: the popular Roman atmosphere with a cosmopolitan and modern flavor. While strolling along these tiny, medieval streets, you can feel its unique vibe! We recommend a drink in the Piazza of Santa Maria in Trastevere, a roman lunch at the café “Checco il carettiere“, and an aperitif at “Freni e frizioni“. At sunset, you can climb the Gianicolo hill to the Piazzale Garibaldi. This sits just behind Trastevere, and is a great place from which to watch the beautiful sunset behind the Vatican’s St Peter’s Basilica. Simply cross the Ponte Sisto to arrive in the middle of the historical center. Here you can eat at one of the many restaurants near Piazza Navona, or stock up on local produce at Campo de’ Fiori’s morning market. From this area you will be just minutes away from the Pantheon. Moreover, a little longer of a walk will take you to the Trevi Fountain, Spanish Steps, Piazza Venezia, and the Piazza del Popolo. In Rome, everything is within your reach, and the walk between attractions is often just as pretty and impressive as the monument itself! I visited Rome with a friend for a short break and Romeloft - from the pick-up at the airport, the friendliness and helpfulness of the staff, the delightful rooftop apartment, to the drive back to the airport - just made it the perfect trip! Nisar met us at the apartment and carried our heavy bag right to the top of the building - for which we are ...Read Morevery sorry. But he was just lovely and so helpful. Thank you Nisar! 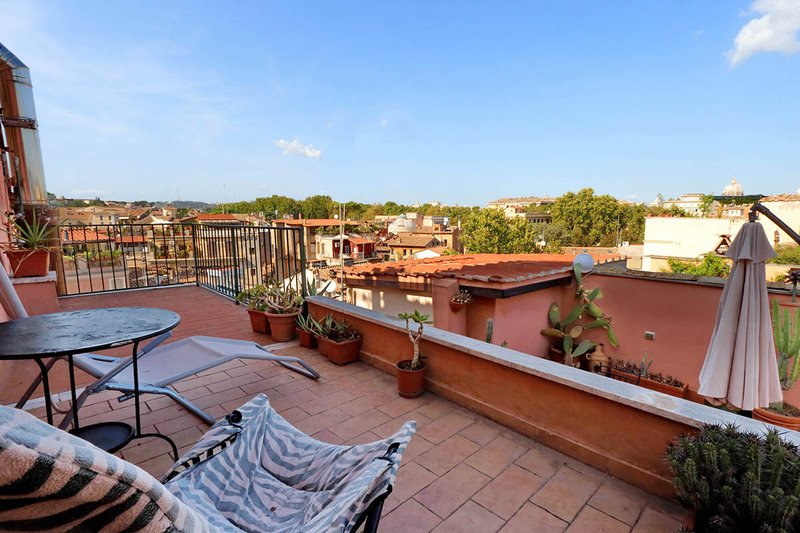 The apartment is located right in the midst of busy Trastevere - so teaming with life, but you'd never know it when you are up in the loft - it was peaceful and had fabulous views across Rome from the two-tiered terrace. We loved the décor, the layout and the quirkiness of the apartment; it is full of character and we'd definitely stay there again. We had just the best time. Thank you Romloft. 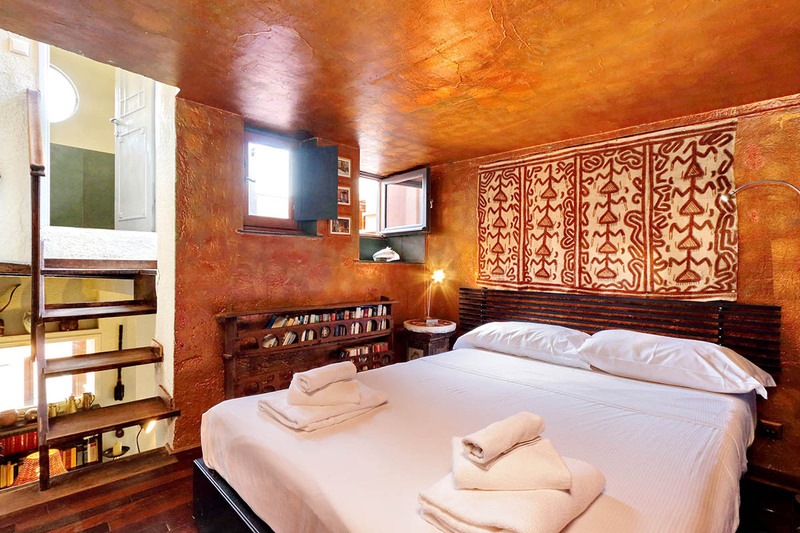 Our return visit to this Quirky little apartment, which we love- especially for the location and rooftop terrace. disappointed that there was just one broken sun lounger-I had to get all the garden seat cushions out myself and clean them off. think you need proper loungers to make the most of that amazing terrace. Also there were no dessert spoon...Read Mores!, only 2 tea spoons. Otherwise it's perfect. 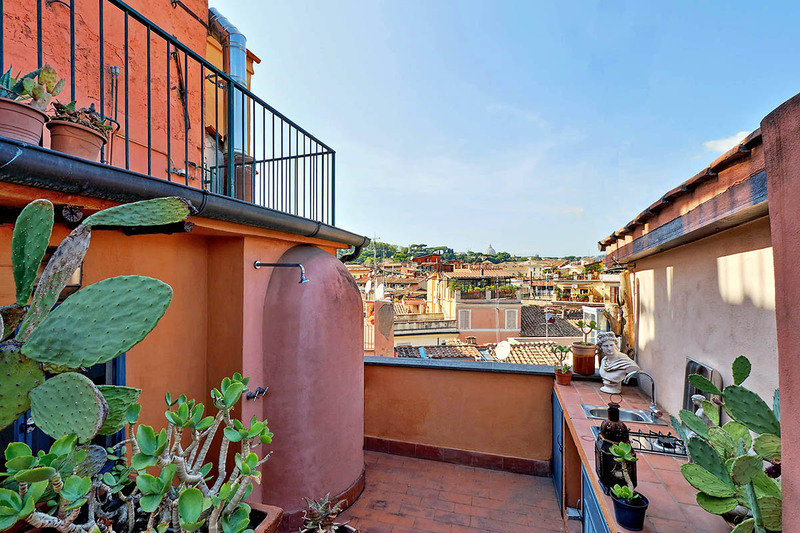 This appartment is in a perfect location right in the heart of trastevere. It's small but neatly set out with everything you need for a short stay. 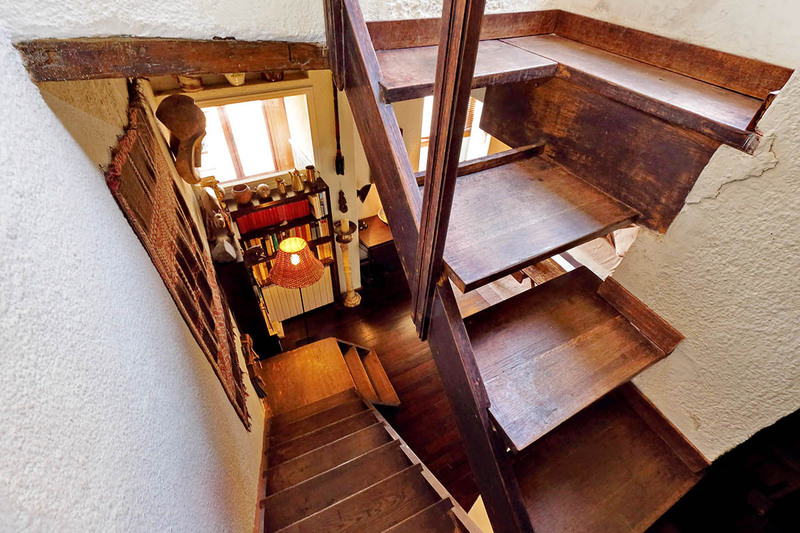 It really is a loft appartment so not recommended for anyone who might struggle with stairs. It is so quiet up away from the lively bustle of the cobbled streets at night. 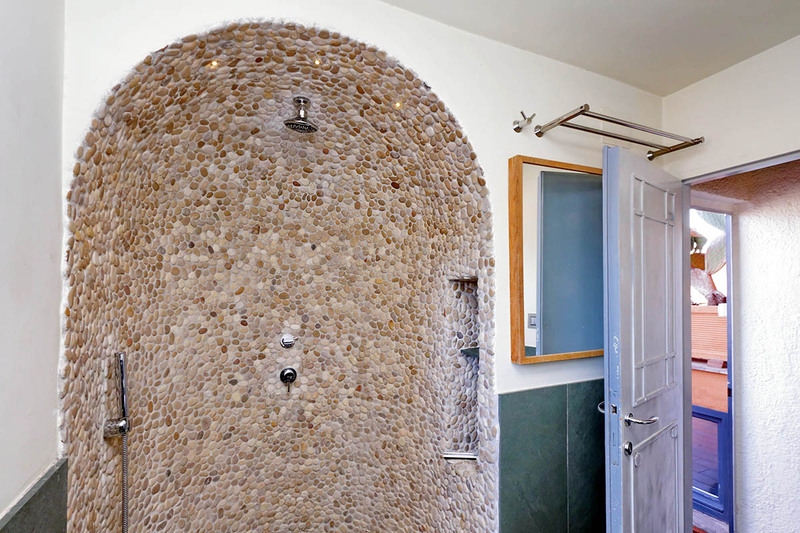 The bathroom is gorgepis....Read More.. Shower whilst you gaze out through a porthole window over the rooftops towards the dome of St. Peter's. But the jewel in its crown has to be its terrace which is on three levels and has an amazing panorama. Would definitely go again. Would be nice to have a bit of information in the flat.. Nearest supermarket etc or a map, or some recommends of where to eat, even if this was just from other visitors, especially for anyone visiting for the first time. It's only 20 mins walk from all the main sites and the restaurant right beside the front door was fantastic! 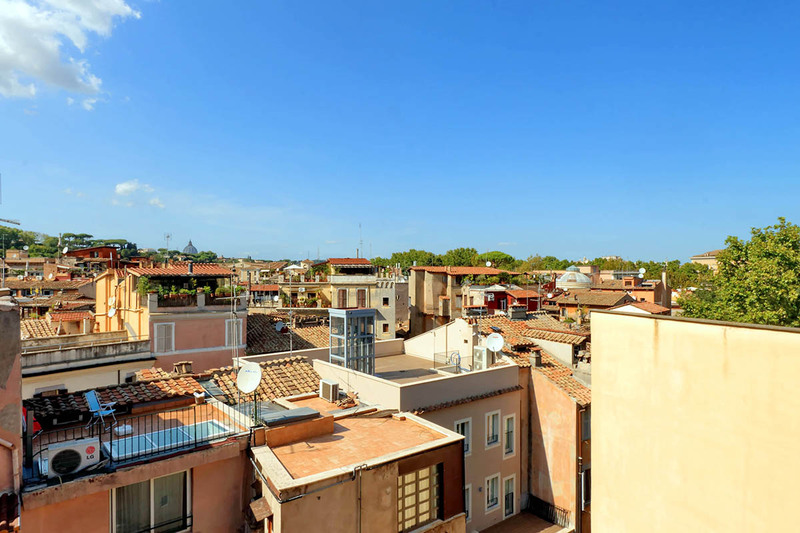 The apartment is located in downtown Trastevere - very central in Rome! - which also means hordes of tourists and everything that comes with them, but when you walk a few minutes in each direction, you'll find nicer streets and restaurants etc. From the rooftop terrace, which is absolute amazing (!! ), you can't hear or see the touristy st...Read Morereets - that's a huge plus! The weather was perfect when we were there, so we were able to use the terrace a lot - the view is stunning! 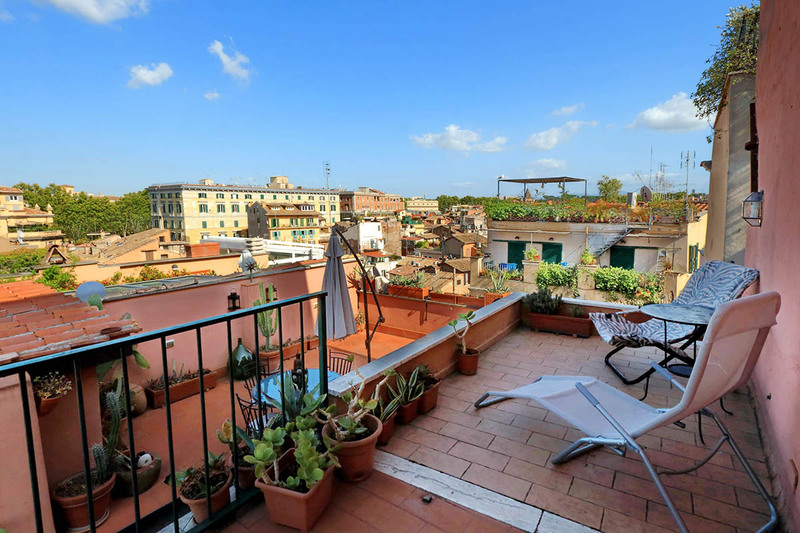 However, if your trip to Rome is rainy and you're not able to sit on the terrace, you probably won't find the apartment very interesting: It's very dark and not exactly cozy, and the bed was a bit hard and small for us. But there's a newly renovated bathroom and a small kitchen with everything you need to make breakfast (would have been nice with a kitchen towel and a cloth though). One big minus: There's no wifi in the apartment, which annoyed us a lot. And it is a major problem that RomeLoft does not accept credit cards (or online payment), but in stead requires a full payment upon arrival - especially because my wallet with all our cash was stolen on the tram on the way to the apartment... But again: The location and the amazing rooftop terrace are two huge plusses, so I would definitely recommend this apartment! I booked this apartment for the huge terrace and location. The terrace lived up to expectations. The inside of the apartment was very small and dark. Some of the electrics in the apartment should be looked at, a socket hanging out the wall for example. 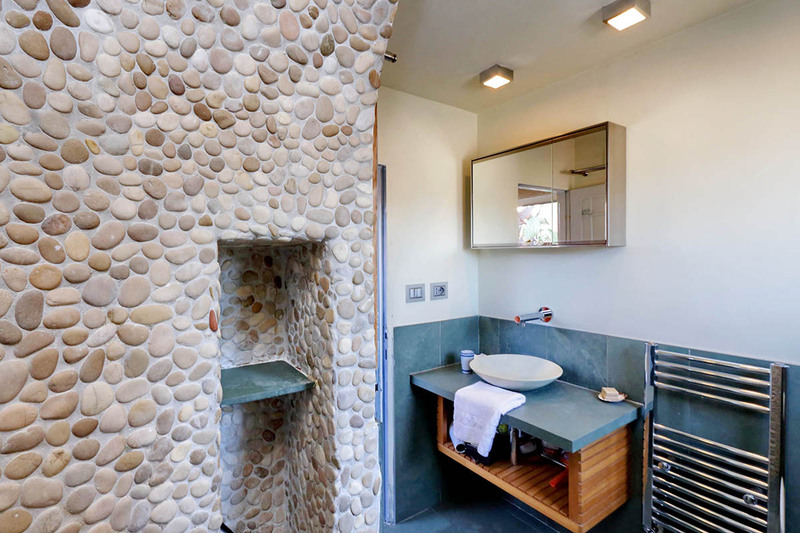 The bathroom has been modernised to a high standard so the electrics in the rest of the apartment...Read More should really be brought up to a similar standard for safety reasons. You have to be slightly careful on the little staircases as their are no rails. The location is perfect if you are looking for the full Roman experience. Thoroughly enjoyed the stay in Rome and the apartment was exactly as described. Bedroom has low head height if your tall and stairs in apartment do not have had rails in some areas. Roof patio area was a real asset. This is a penthouse and therefore at the top of a building - just remember there are a lot of steps from the street (74) but I think ...Read Morethe roof terrace made this worthwhile. Apartment is very peaceful and has no noise from the street, which gets busy in the evening. Great location to explore the main sites of Rome, which we did all on foot. Had to pay a 25 euro fee for being late to the apartment (after 8.30 pm) which wasn't really explained beforehand, found this a bit disappointing, but overall a good experience. Please note the payment for the apartment is in cash on arrival, so make sure you have the cash. 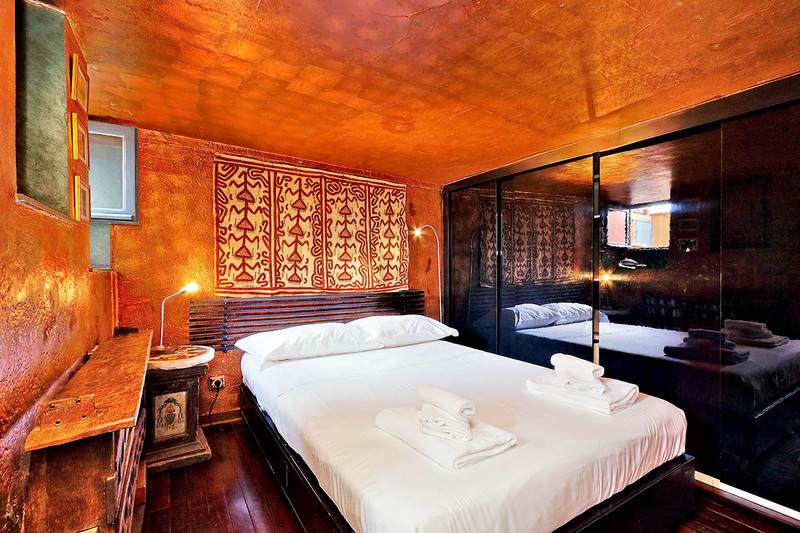 Romeloft personnel were all helpful and all details of our one-week stay were handled easily. Trastevere is my favorite area in Rome and it was a treat to be so near the center (the Piazza del Santa Maria in Trastevere). 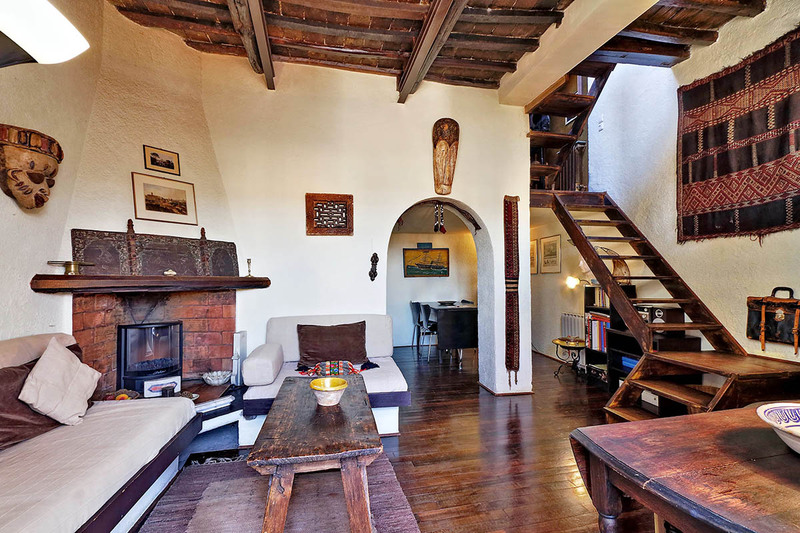 Vicolo del Cinque is a lively lane, with lots of action late at night, but the penthouse was perfectly quiet. Many good rest...Read Moreaurants nearby and a sweet gelateria right next door (and a small grocery across the street). I especially recommend Trattoria de Gli Amici (around the corner in Piazza Sant'Egidio), which employs the disabled and serves very good food at reasonable prices, with tables outdoors facing the piazza. (I also recommend the small museum.) Although five flights of stairs (and then even more to the bedroom, then bathroom, then terrace) were daunting for my 73 year old legs after a long day of walking, it was nevertheless lovely to enjoy the views from that perch. 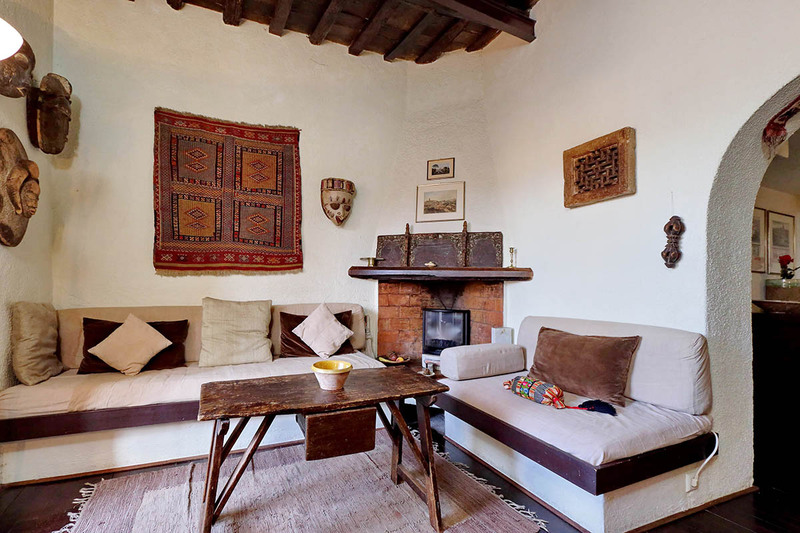 The apartment is furnished with many items from West Asia, so it differs from most Italian apartments. 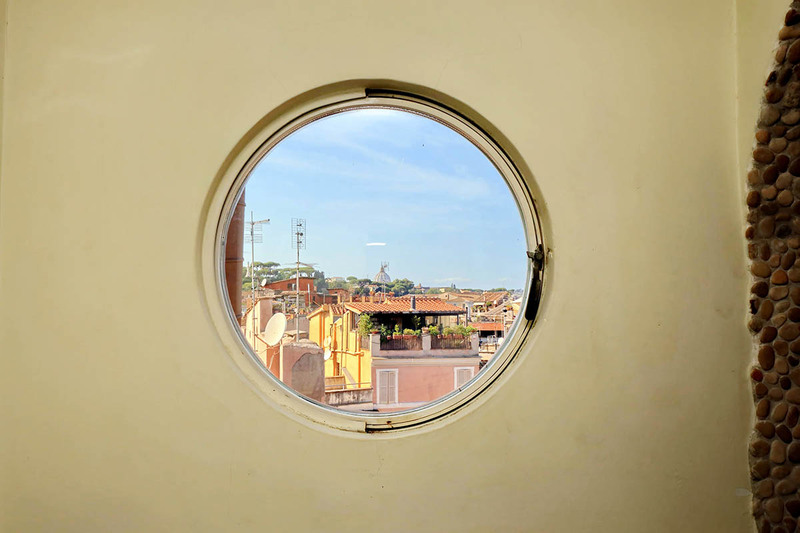 The bathroom has been recently redone and is delightful, with a circle window capturing a gorgeous view. The bedroom is a bit garish for my taste, but has lots of closet space and a comfortable bed. Very compact kitchen area, but we did no real cooking so it satisfied our needs. (Most books and tv channels indicate German ownership.) Unfortunately, it rained in Rome during most of my step-daughter's visit, so we weren't able to enjoy the marvelous terrace much, which we regretted. (I was in Rome for several weeks before and after, with all blue skies, so we just hit a bad week.) I definitely recommend Romeloft as an organization and this apartment for a couple (with strong legs).